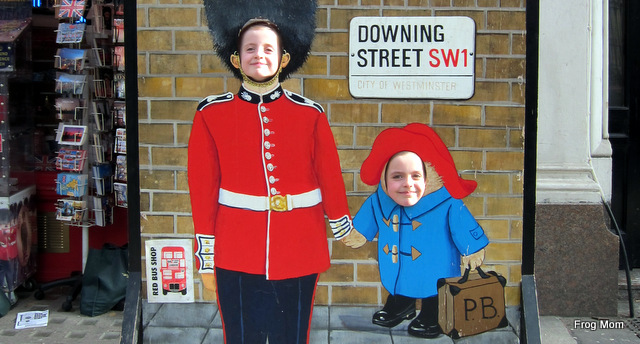 London is a great city to visit with kids, made all the more exciting by all the world-class day trips around it. 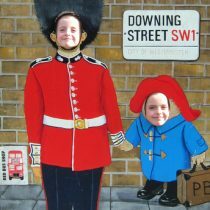 When we arrived in London five years ago, we loved how easy it was to hop on a train with family tickets and discover a new city or area for a day. While our girls were 8 and 6 when we arrived, they’re 13 and 11 today and finding places that are fun for older kids can be a bit tricky. 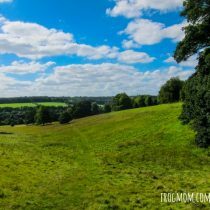 Today, I’m sharing our top 10 day trips from London, must-sees for anybody visiting London with school-age kids. From Shakespeare’s green countryside to royal castles, for Harry Potter fans and for science nerds, these day trips are all easily accessible without a car and great fun for families. About 30-45 minutes from London Paddington station, the famous Windsor Castle attracts tourists from all around the world. Indeed, who would miss such a piece of living British history where the Queen still resides on occasion? 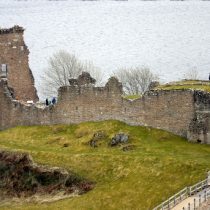 When she is in residence, you will see the Royal Standard fly above the castle instead of the Union flag, but don’t worry about restricted visits. The Queen has her own private apartments, distinct from rooms open to the public. Get to Windsor Castle early to see the Changing the Guards ceremony (11am, specific dates) and to beat the crowds. 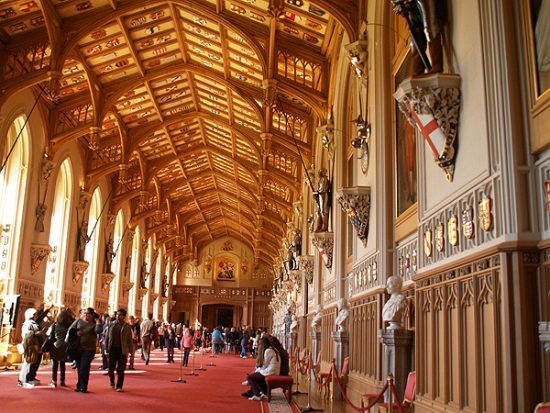 One of the first highlights of Windsor Castle, when you start your tour, might be every little child’s dream–a giant doll house built for Queen Mary between 1921 and 1924. Filled with thousands of miniature items, this doll house on several storeys includes cellars and attics and is completely electrified. Next up, the State Apartments are ceremonial rooms made for decorum and state receptions in mind, every bit as splendid as you can imagine for England’s grandest royal castle. Between September and March, you can also visit the Semi-State Rooms, featuring richly decorated dining rooms set for formal meals. To breathe some fresh air, Windsor Great Park is a reason many locals come to the castle.From landscaped gardens to ancient woodland, the park is a beautiful nature escape. 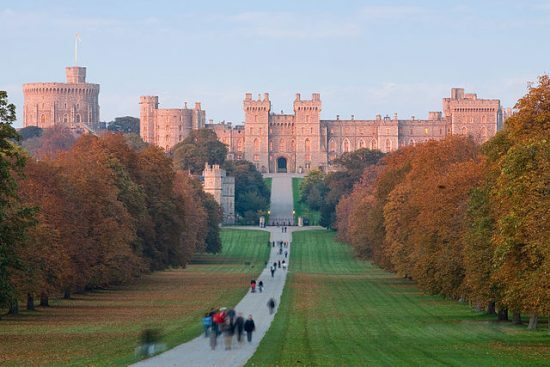 For a media-enhanced visit, download the free app Capturing Windsor Castle and step outside to see how the castle and its countryside have changed over the centuries. If Windsor castle happens to be closed that day, Legoland Windsor is right next door and that’s an offer kids are unlikely to turn down. 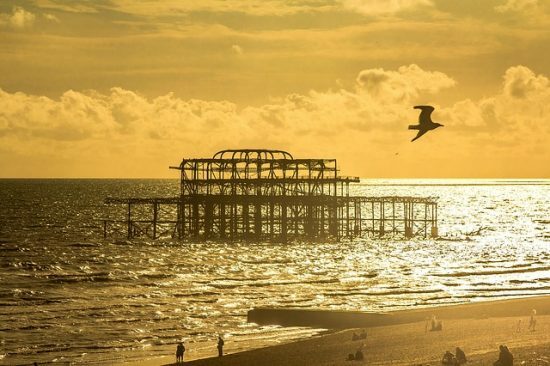 The ultimate Victorian seaside resort turned artsy community, Brighton is every Londoner’s favourite beach when the sun shines. Only an hour by train from London Victoria every half hour, Brighton is very easy to reach without a car. The main attraction for kids is the 1899 Brighton Palace Pier with its arcade games, beach-front ice cream shops and pebble beach. It faces the dramatic metallic skeleton of the 1866 West Pier, a structure that burnt down and falls into the sea after each storm. If arcade games are not your thing, picnic on the beach front and head to the fun fair for spectacular beachfront fun rides. 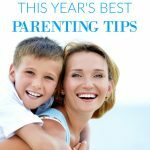 The trampolines and carousel are always surefire hits with kids. For a bird’s eye view of the Sussex Coast, the British Airways i360 is a vertical cable car that takes you 162m off the ground in a circular glass pod. It’s best if you’re not afraid of heights, but the views are amazing. 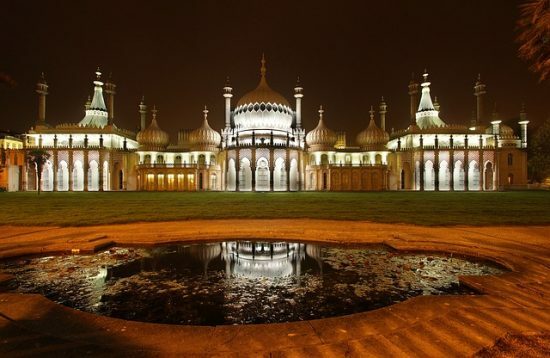 When the kids get antsy, head for the Royal Pavilion, a seaside pleasure palace built for King George IV in the grand style of Indian palaces. Don’t forget to walk down the Lanes, narrow alleyways with quirky shops, cafes and restaurants. 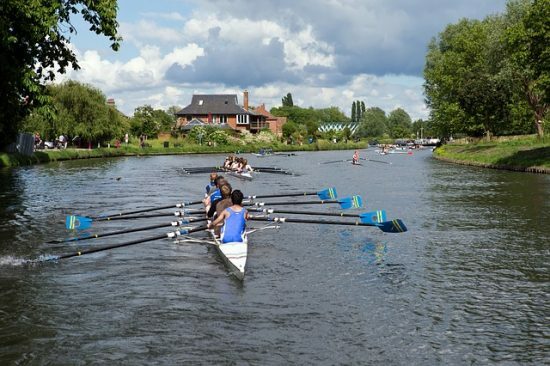 Cambridge, home to one of the oldest universities in the world, is filled with picturesque sights and quaint nature spots with literary or sports connections. 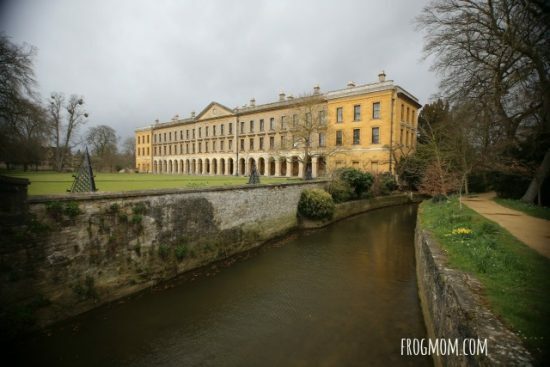 Taking a wander around the historic university town is the very minimum you can do after stepping out of the train station, but there’s a lot more you can do. 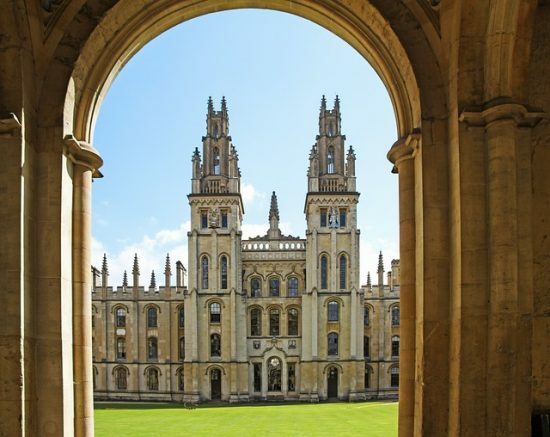 If your kids are curious about college life, Kings College should be on your itinerary. Down Trinity Street, you may recognize Trinity College by its great court, the place where the iconic Chariots of Fire race was run. If your kids are into egyptology, the Fitzwilliam Museum contains a wealth of antiquities, sarcophogi and mummies. Last but not least, should they wish to run around, find the riverside trail and walk 1.5 miles along green meadows by the river to the tiny village of Grantchester. 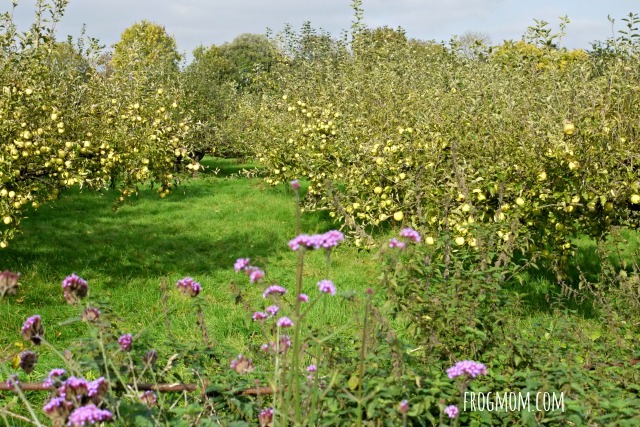 As you reach Grantchester, head up a track to the Orchard tea garden where you can relax on a deck chair under apple trees having lunch or a cream tea. Kids love climbing some of trees there, while you reflect on past famous visitors such as Virginia Woolf, Alan Turing or Stephen Hawking. In case you’re wondering, yes, it’s that Grantchester. Roughly 2 hours from London’s Marylebone Train Station, the small river town of Stratford-upon-Avon is a full immersion into Shakespeare’s world. Here is where the Bard grew up and lived with his family. Start at Shakespeare’s Birthplace where kids can learn about Shakespeare’s life, before moving on to the small cottage in the garden known as “the birthplace.” Don’t forget to ask questions in the very cool glover’s workshop on the ground floor. New Place, virtually next door, features a sculpture garden inspired by Shakespeare plays and fun exhibits for families inside. Continue in your medieval romp with Mary Arden’s Farm or Anne Hathaway’s Cottage & Gardens. 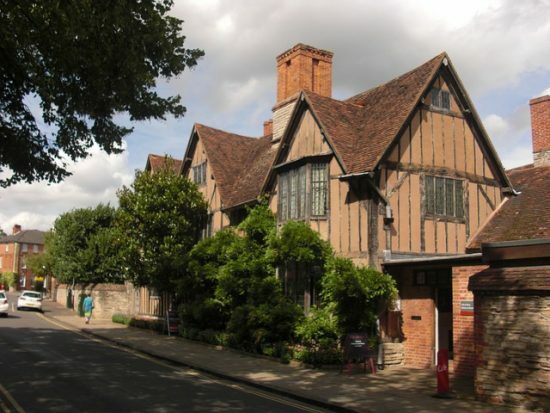 We love Hall’s Croft, the home of Shakespeare’s daughter, whose period interior feels very much lived-in. 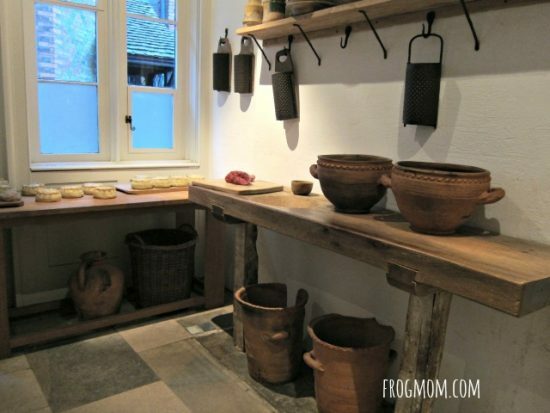 Outside, kids can play in a garden with apothecary’s herb garden and around an old mulberry tree (the same age as Henry VIII), while you grab a bite at the cafe. Close to Hall’s Croft, Holy Trinity Church is on every Shakespare’s fan’s itinerary with its William Shakespeare Funerary Monument (he was buried there). If you can, watch a play at the Royal Shakespeare Theatre, a superb theatre with a killer view on the Avon river and enjoy the top floor restaurant. 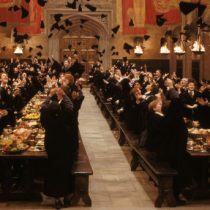 Go behind the scenes of the Harry Potter movies at the Warner Bros Harry Potter studios where the movies were filmed. 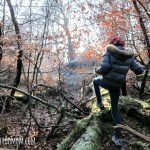 Getting there is less than an hour by bus (or train) from London and you can literally spend the whole day there. 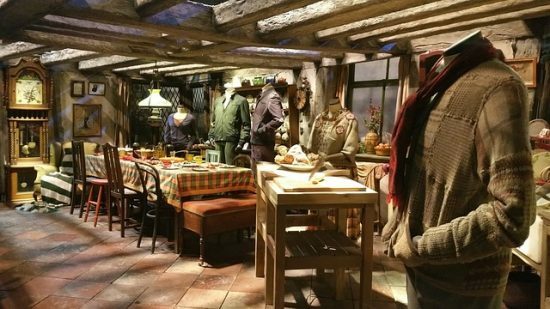 From the Great Hall to Diagon Alley, Dumbledore’s tower office or Platform 9 ¾ with the Hogwarts Express at quay, it feels truly magical to walk through the actual sets where the actors brought the story to life. 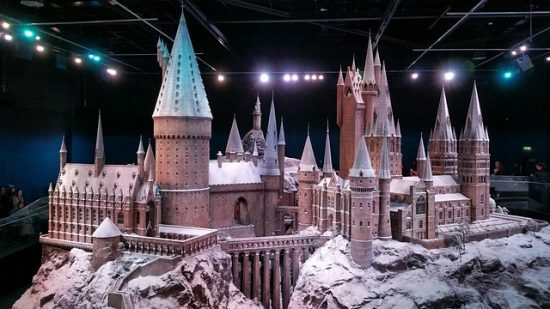 During the winter months, the tour ends of a winter wonderland scene of miniature Hogwarts in the snow. 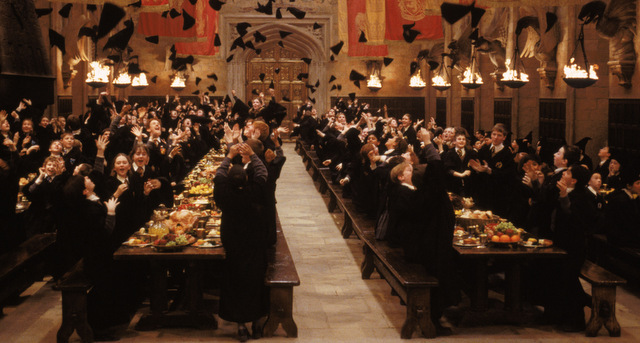 Lucky for you, the cafe serves butterbeers year-round. 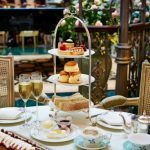 Only an hour from London Paddington station, the city of Oxford is a must-see for fans of Alice in Wonderland and Harry Potter, as well as The Lord of the Rings and Narnia. It’s also a small city very easy to navigate on foot with tons of cafes, which makes it a great destination for families. Start your tour at the tourist office where you can grab a map of the city and walking tour ideas. You can also print this free Oxford Harry Potter Trail or book an Alice in Wonderland Walk if you are hungry to find out more about these two children’s classics and their local inspiration. 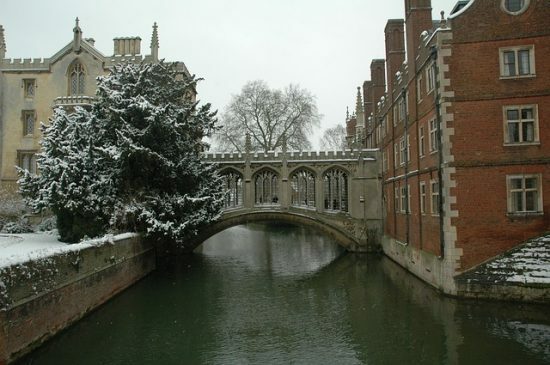 Continue at the most famous of all historical colleges, Christ Church College and Cathedral, a spectacular series of 16th century buildings whose alumni include Albert Einstein, 13 British prime ministers, Lewis Carroll and John Locke. 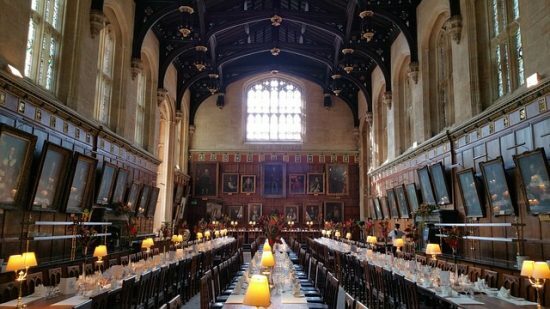 If you can visit Merton College as well, the dining hall is very Hogwarts-worthy. To see the city differently, take to the canals and go punting. Yes, punting, pushing a flat-bottomed boat with a pole, is a great activity for older kids who want to learn a new skill on the water. If you’ve never read the book Three Men in a Boat, find it and read the punting scene–it’s hilarious. For beautiful nature, head to the University of Oxford Botanic Gardens to see a garden planted in several zones by the river Cherwell, including six large glasshouses for warm climate flora. 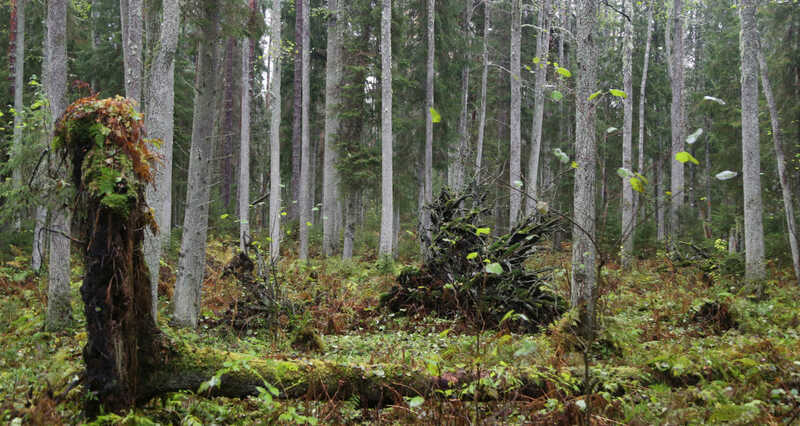 You’ll have a hard time believing that these gardens were first planted in 1621. Don’t leave without seeing the Bodleian Library, an ornate Jacobean-Gothic building that hosts literary events throughout the year and was a Harry Potter filming location. An hour from London Kings Cross St Pancras station, Dover is famous for its ferry terminal to France but it’s also a city worth visiting for a coastal change of scenery. Dover Castle is by far the main historical attraction in Dover, an English Heritage castle that will delight action-starved kids. 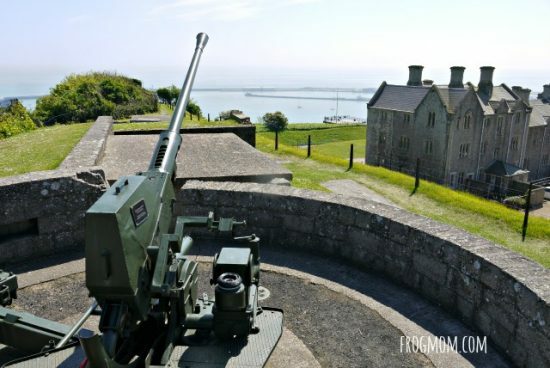 From the WW2 defences to medieval tunnels, from the oldest surviving (Roman) lighthouse in the UK to an underground hospital, the castle and its grounds will take a few hours to explore and you don’t even have to get out to grab a bite and a drink. 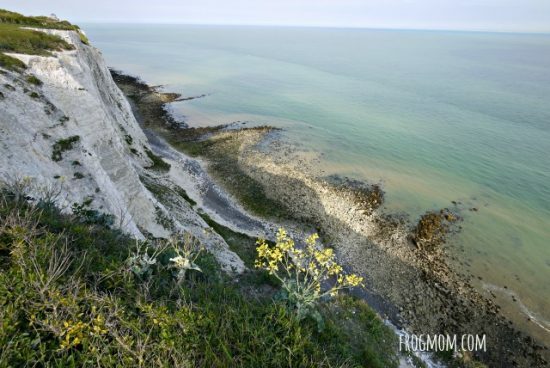 From the castle, you can follow a 1-mile footpath (or take a bus) to the famous White Cliffs of Dover, spectacular chalk cliffs protected by the National Trust. This iconic landmark of the British coast offers fine walks on cliff tops, with occasional rabbit sightings around sunset and on clear days, a view on the French coast, 21 miles away. We loved walking 2 miles on the cliff-top trails to the quaint Victorian lighthouse, where we had tea and scones at Mrs Knott’s tea room while our girls played children’s games on the grass. 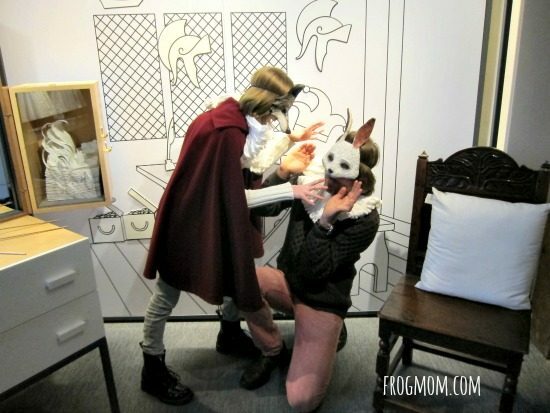 Just stop by the visitor reception for a treasure trove of family activities. If you have history buffs in your party, the landing spot of Louis Blériot is worth a detour. This French aviator was the first man to fly non-stop over the English Channel from France in 1909 and beat my ancestor, Hubert Latham, by a day. It’s behind the castle in a woodland. Less than 30 minutes from London Bridge station by train, the small Kentish town of Orpington is where you’ll find Down House, the family home of one of the greatest scientists ever. 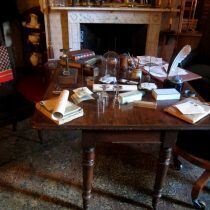 When he was writing On the Origin of Species, Charles Darwin lived here with his large family (10 children) and walked the surrounding countryside every day, both for exercise and uninterrupted thinking. 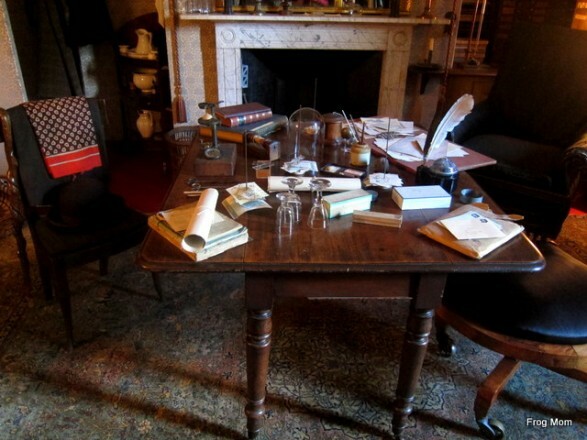 Even if this is a house museum, kids usually love Down House as it feels like a family home with kids games and family bedrooms–only it’s 150 years old. 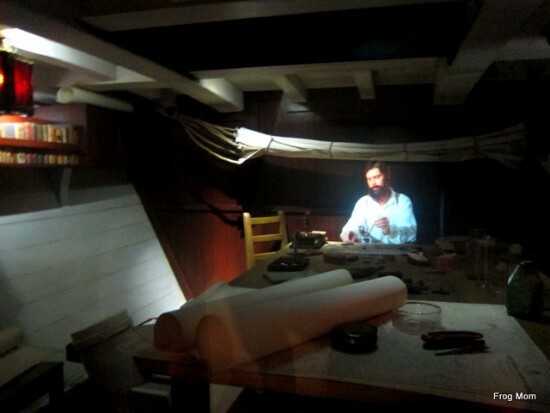 Upstairs on the top floor, kids will love the mock-up cabin of Charles Darwin on the Beagle, as well as all the educational science activities and the children’s playing room. If you’re visiting on a sunny summer’s day, chances are that they will ask to run around in the garden, a great outdoor space that features manicured lawns as well as a tropical greenhouse and the famous Sandwalk created by Charles Darwin. The finest of England’s royal palaces, Hampton Court Palace overlooks the river Thames with its turrets, chimneypots and pinnacles. 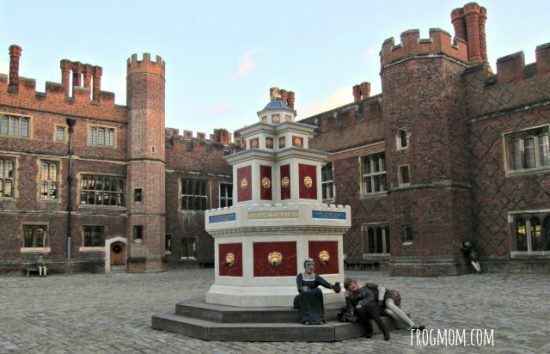 Kids will love the Tudor and Chocolate kitchens, complete with fake food and make-believe reconstructions, as well as the family room (a play room for under 5’s and their family) off Clock Court or the vaulted Chapel Royal. Follow one of the palace’s family trails and explore with quizzes, activities, facts and pictures (pick up at Information Centre). Finish by visiting the garden and its famous Maze. 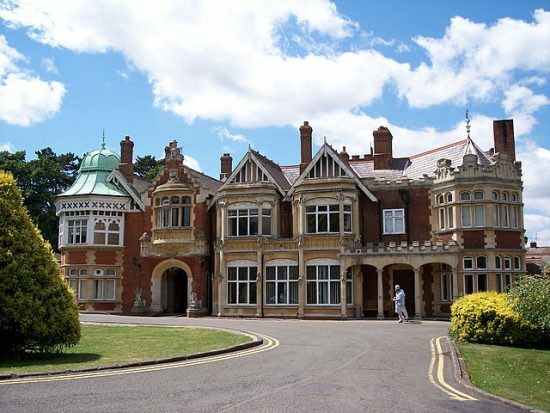 If your kids are eager code-breakers or mind-game masters, Bletchley Park, about 40 minutes from London Euston Station, is a must. Made famous by the movie The Imitation Game, Bletchley Park is the UK home of coding and decoding intelligence from WW2 onwards. This is where the brightest minds of a generation got together to fight the war with their brains, solve intellectual puzzles ands crypted messages. 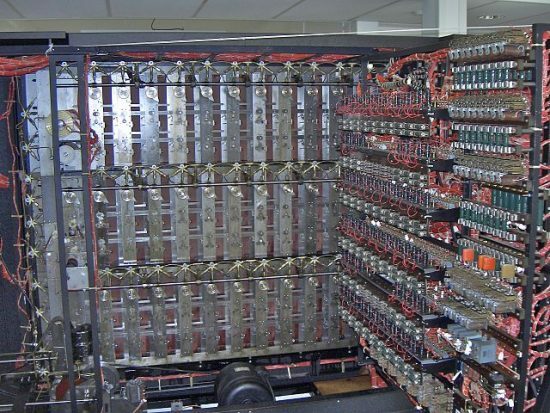 Older kids get a lot out of the visit, as they tour exhibitions and see a Turing Bombe or get to learn how to use a real Enigma machine, how to use pigeons in times of war or how hands-on mathematics can help solve real-life problems. They also get to learn about a variety of codes and ciphers and it would be surprising if they didn’t come out with at least one code in mind to communicate with their friends. What are you most looking forward to when visiting London? Just having returned to Germany from a London visit with our teen daughters, I’m so happy to find your post! We’ve already got lots of things in mind for our next visit, now it’s even more!